Description This 2019 Ford Escape Titanium FWD is offered to you for sale by Jim Hudson Ford. Want more room? Want more style? This Ford Escape is the vehicle for you. There is no reason why you shouldn't buy this Ford Escape Titanium FWD. It is incomparable for the price and quality. The look is unmistakably Ford, the smooth contours and cutting-edge technology of this Ford Escape Titanium FWD will definitely turn heads. 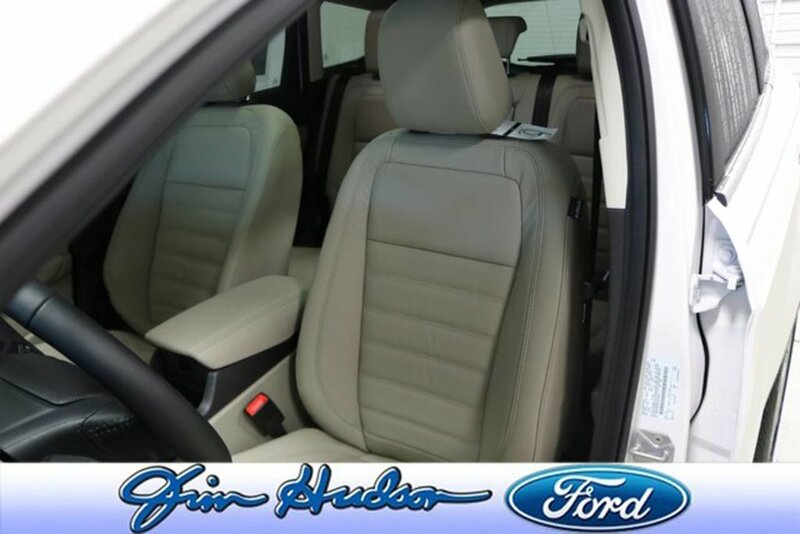 The 2019 Ford exterior is finished in a breathtaking White Platinum Metallic Tri-coat, while being complemented by such a gorgeous Medium Light Stone interior. This color combination is stunning and absolutely beautiful!